So lately I’ve been talking about HBO… but it’s only because they’ve been killing it with awesome programming! One of my current HBO obsessions is the new comedy VEEP staring Julia Louis-Dreyfus (who, ps, is such a wonderfully funny and adorable actress)! So Veep is about a Vice President of The United States and in this particular case she isn’t totally all together! She isn’t exactly an airhead, just someone who puts her foot in her mouth, seems to make a lot of errors, and is very self serving. Hrm. Sounds like a lot of politics today! And really that’s all the show is… making fun of what politics and politicians have become. It’s incredibly comical, clever and sometimes so realistic it’s downright sad. I’ve really been enjoying it! 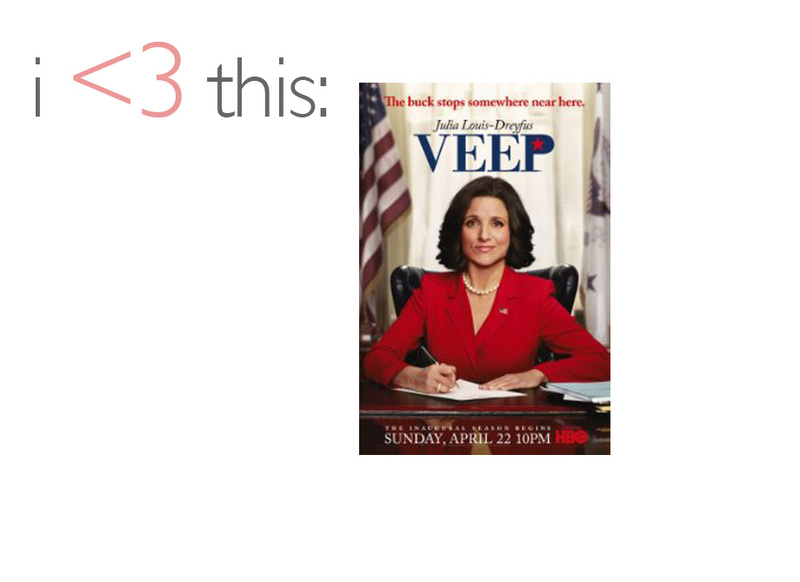 Do any of you watch Veep? Thoughts?